"Hallelujah! I’ve been looking forward to Detour since I first saw the dust jacket at Steve Haffner’s table at the Windy City Pulp & Paper show in April. It collects twenty-four stories of science fantasy and terror by the legendary husband and wife team, with a new intro by Robert Silverberg and an afterword by Frederik Pohl. Kuttner’s “Gallegher Galloway” stories were collected by Paizo in Robots Have no Tails (reviewed for us by James Enge), and Paul Di Filippo recently reviewed Moore’s seminal collection Judgment Night for us . . . But both books are dwarfed by this thick new volume. 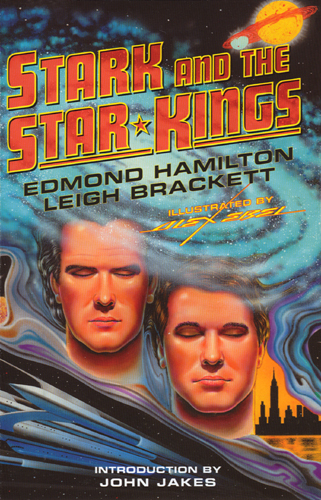 If you’re a fan of science fantasy, you’ll want to add this to your collection. It’s available . . . for just $40 for an archival-quality hardcover packed with 568 pages of classic fiction." "1961, I bought Ballantine Books Bypass to Otherness, a paperback collection of some of Henry Kuttner’s and C. L. Moore’s best short stories. I loved it! Some of my favorite stories were selections from Kuttner’s popular series such as the “Hogbens,” funny otherworldly hillbillies living in America, “Gallegher Galloway,” the scientist who invents incredible machines only when intoxicated (whose adventures have been collected in Robots Have No Tails), and the “Baldies” stories eventually collected in another Ballantine Book: Mutant. Bypass to Otherness was projected as the first of three “Otherness” collections of Kuttner’s short fiction. Ballantine published Return to Otherness in 1962. Another great collection! The third “Otherness” collection never appeared. Now, 50 years later, Haffner Press has published DETOUR TO OTHERNESS: a grand collection that includes both Bypass to Otherness and Return to Otherness, with eight additional stories. Robert Silverberg provides an informative Introduction and Frederik Pohl writes a nostalgic Afterword. If the cover looks unfamiliar, it’s because this is a formerly unpublished painting by Richard Powers that matches the striking Powers covers on Bypass to Otherness and Return to Otherness. 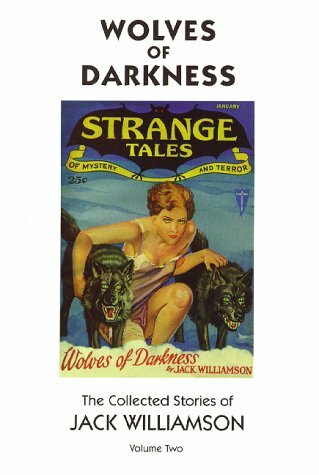 It’s great that Haffner Press has brought these wonderful forgotten stories out in such an attractive package. 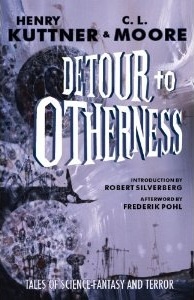 All in all, DETOUR TO OTHERNESS is one of the best books published in 2010. . . . You will love this grand volume . . . It’s everything a small press book should be." 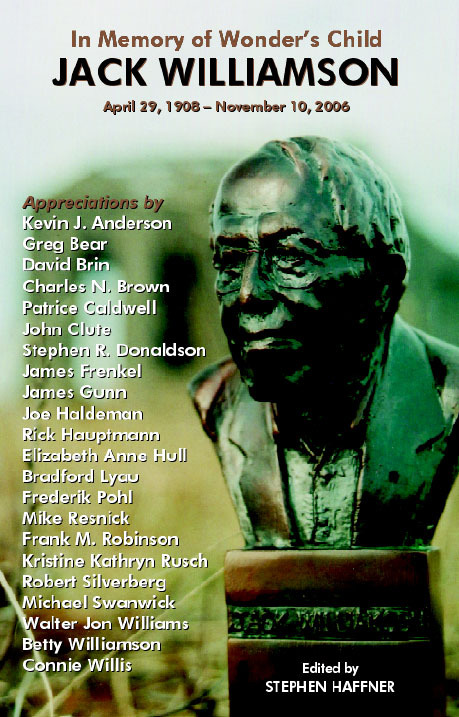 "As regular readers of this blog know, one of my favorite writers is the late Henry Kuttner. And of course you can't mention Henry without mentioning his wife and writing partner (Catherine) C.L. Moore. Good as they were individually they were great as a team. In his fine introduction to this volume Robert Silverberg relates a story that shows just how indivisible they were. For lovers of science fiction, fantasy and the type of story only the Kuttners wrote, this is one of the most important books of the year, a large, beautifully made book that celebrates the writers who had such direct influence on the careers of writers such as Ray Bradbury and Richard Matheson, to name just a few. As usual congratulations to publisher Stephen Haffner for producing a masterful book."